This is the Coca-Cola logo used from 2009 to present. 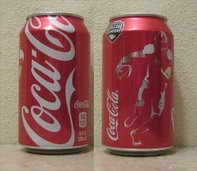 One of the red-and-white cans features a snowboarder, one features a figure skater, and another one features a speed skater. Only three winter sports were mentioned, leaving some other great winter sports like curling, bobsleigh, hockey and biathlon behind. "Everyone pays kids price" promotion for the 2011 season at Six Flags. Also introduces the new ride, the Skyscreamer. This "sunglasses" design was one of five summer designs introduced in 2009. The other four were surfboards, grill, American flag and beach ball. It was called "Vanilla Coca-Cola (Vanilla Coke)" during initial U.S. availability from 2002 to 2005. It was reintroduced in June 2007 by popular demand using this design. Coca-Cola Cherry was available in Canada starting in 1996. 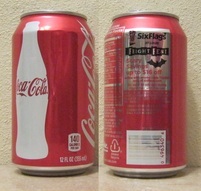 It was called "Cherry Coca-Cola (Cherry Coke)" in North America until 2006. A zero-calorie variant of Coca-Cola Cherry, called Coca-Cola Cherry Zero, is also currently available. 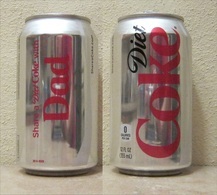 Diet Coke (also known as Diet Coca-Cola, Coca-Cola light or Coke Light) is a sugar-free soft drink produced and distributed by the Coca-Cola Company. It was first introduced in the United States on August 9, 1982,as the first new brand since 1886 to use the Coca-Cola trademark. 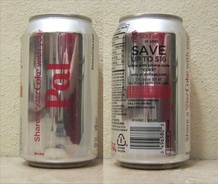 The product quickly overtook the soft drink Tab in sales. "Save $20" promotion for the 2011 season at Six Flags Great America. 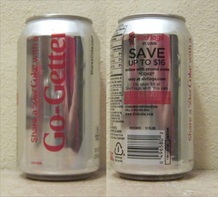 In 2005, under pressure from retailer Wal-Mart (which was impressed with the popularity of Splenda sweetener), the company released a new formulation called "Diet Coke sweetened with Splenda". 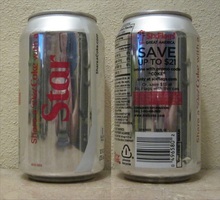 Sucralose and acesulfame potassium replace aspartame in this version. 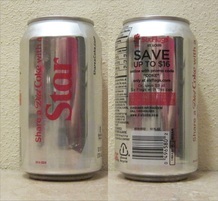 Early sales were weaker than anticipated; however, Coca-Cola did little advertising for the brand, investing money and advertising in Coca-Cola Zero instead. 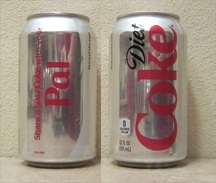 By late 2009, some distributors had stopped supplying Diet Coke sweetened with Splenda. 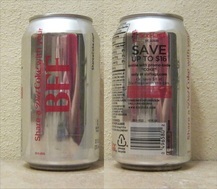 During February 2011, Diet Coke and the Heart Truth® partnered to launch Capture the Flag, a national program to raise awareness for women's heart health programs. In just 24 days, they reached their goal of raising $100,000 for the cause. The Heart Truth® campaign message is paired with the Red Dress — the national symbol for heart disease awareness. It was designed to serve as continued inspiration for women to protect their hearts. This fall design shipped to markets on September 1 and remained on the shelves until the holiday design shipped in November. Coca-Cola with Lime was a variation of the original Coca-Cola. It was introduced in North America in the first quarter of 2005 before being quietly discontinued in 2006. 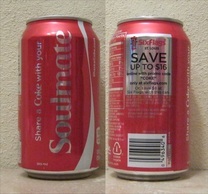 The formula is the same as regular Coke but with added lime flavor. 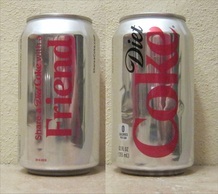 The decision to market the product was based on popular feedback from consumers in 2004 with the release of Diet Coke with Lime.